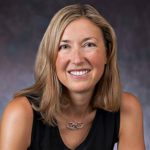 Lynn Addington, Professor of Justice, Law and Criminology at American University, is an expert in violent victimization, homicide, sexual assault, intimate partner violence, school violence, criminal justice policies and victimization. Addington has consulted with the U.S. Departments of Education and Justice. Addington served as a visiting fellow with the Bureau of Justice Statistics and as the editor of Homicide Studies. In 2016, she received American University’s top award for faculty research. She is a member of the American Society of Criminology (ASC) and recently was elected to a three-year term as Executive Counselor on the ASC executive board. She has been published in several journals, including the Journal of Quantitative Criminology, Justice Quarterly, and Trauma, Violence and Abuse. Addington earned her PhD and M.A. in criminal justice from the University at Albany (SUNY), her J.D. from the University of Pennsylvania Law School, and her B.S. in journalism from Northwestern University.